We hold expertise in offering the best quality Knitting Machine Installation Services in West Bengal, India. Our team of experienced professionals use the latest technologies and machines ensuring appropriate installation. We have installed all kinds of Knitting Machines at various industries, stores and many other places. Our Installation services are rendered as per the guidelines of our valued clients. We assure the quality of services rendered by us within the promised time frame. 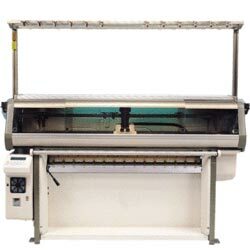 Our Knitting Machine Installation services are very reasonably priced.